I realize that its been a week since I last posted in my little blog. Honestly, I know you can all agree that this time of year is quite a busy and hectic one, what with all the festivities, shopping, cooking, cleaning and just life. Sometimes I just want to float away and not worry about the holidays and all the crazy shoppers out there. Christmas is supposed to be about LOVE, and GIVING of LOVE. My ideal way to spend this special holiday is with those I love and just enjoying their company. Although I am quite excited to see my son's little happy face on Christmas morning, ripping open his presents with pure innocence. He'll be more interested in the wrapping paper and ribbon than anything else. To me, that is pure bliss. Christmas is so incredibly magical to little ones. I've also been busy with a little DIY Christmas present project, that I'll dish on after the presents have been received! I am also contemplating making this easy yet delicious homemade Peppermint Bark. I think I might have a bit of time to squeeze that in! For now I'm off to finish some last minute presents I am making myself. I'd better hurry! Have a lovely Monday and enjoy all the beauty this season has to offer us. Today is a simple one! 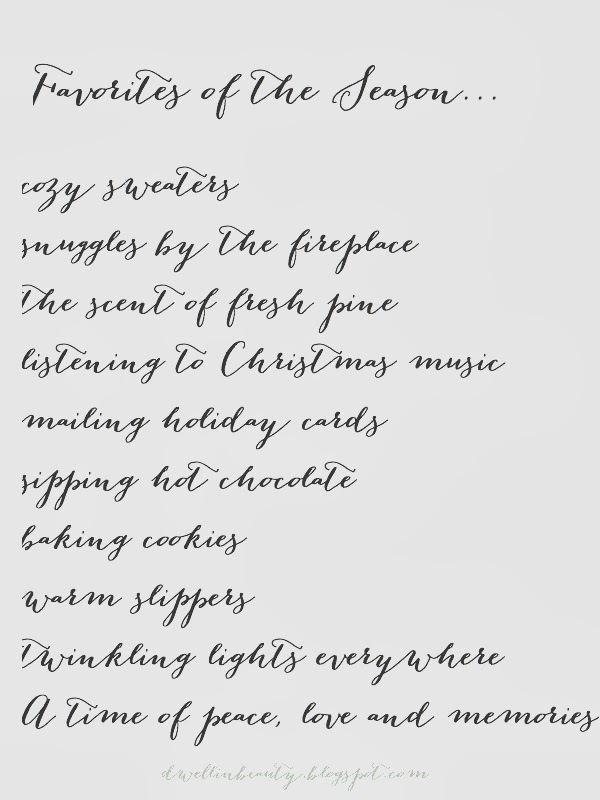 My thoughts, why I love this delightful season! 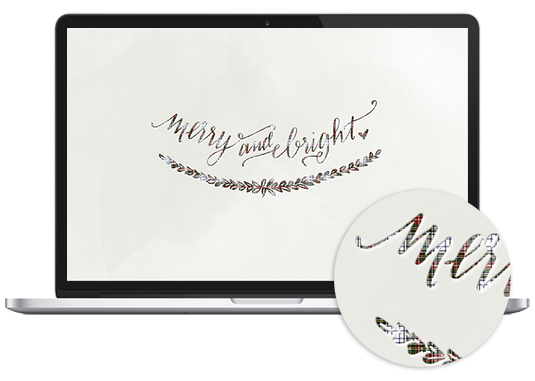 Also be sure to check out Fabulous K for super chic and free "Merry + Bright" desktop screens! This one is my favorite! I am dreaming of pampered nights, cozy sweater throws, and simple feminine sweet nothings. A bit of beauty for me, the home and some to give. 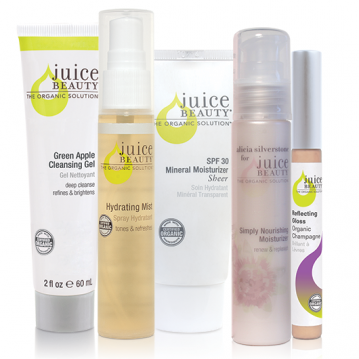 12 Days of Juice Beauty Holiday Sale! I am so excited to share today's review of The Problem Solver by May Lindstrom Skin! This purifying charcoal facial mask is unlike any other mask that I've ever tried. It is wonderfully unique and stands apart from the sea of facial masks available on the market today. To begin, this mask is all powder. I love knowing that the mask I'm about to apply is the freshest mask I'll ever use because its made-ready by me/you! You mix about a teaspoon of the powder substance, and about a teaspoon of water together. The mixture transforms into a beautiful chocolate colored mousse! Use a facial brush to apply the mask. According to the directions it takes about 45 minutes for the mask to dry completely. For my usage, I have applied thick coats that indeed takes about 45 min to an hour to dry and other days I applied less of the mask and my waiting time was about 15 min max. The mask goes on chocolate mousse dark and dries powdery olive green. 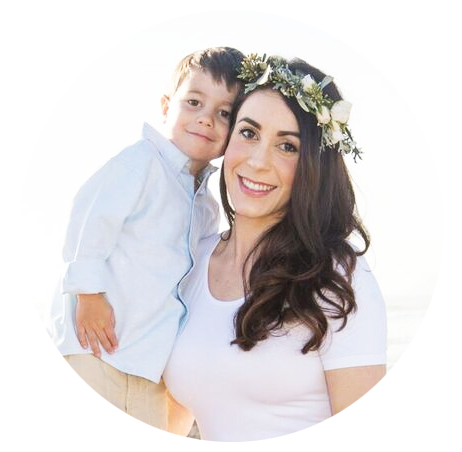 This is what I love about The Problem Solver, its a large jar that full of purifying ingredients that can be customized to meet your needs! Use as much or as little of the product as you want depending on your skin care. You will still benefit from the cocktail of potent and powerful ingredients in this all organic, all natural, cruel-free product! And what's more is it works! I mean really works! My husband jokes when he sees me with this dark mask on my face, he calls it my "War Paint". You know what, he's right. 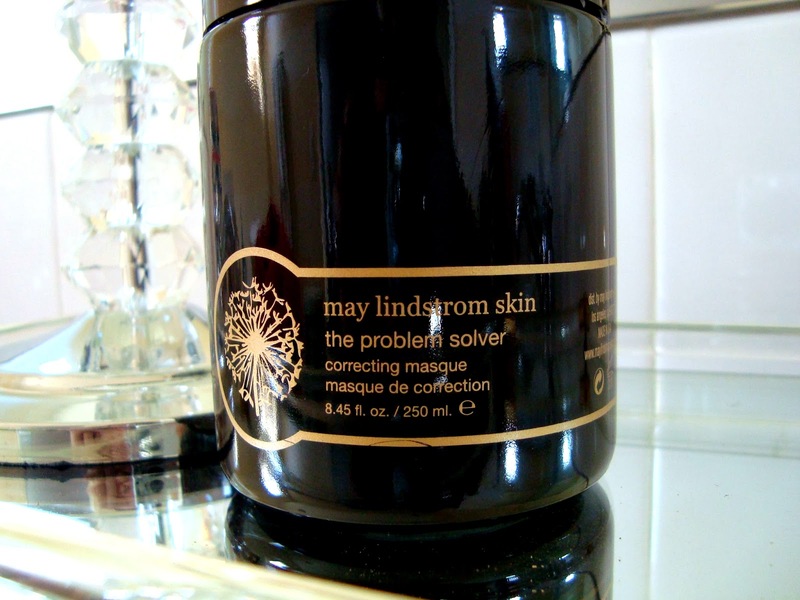 The Problem Solver works hard and tackles skin problems with finesse. My skin has always been conditioned to getting little bumps or congestion in certain areas. I swear its genetic! My skin needs masks almost every other day and lots of exfoliation to stay clear, and it can totally handle it. So I find when I use the mask at least twice a week, my skin looks clear, refreshed and glows! Ahhh I'm ready to get my mask on now! Tell me, have you used The Problem Solver? What did you think of it? You can see me wearing the Problem Solver here. 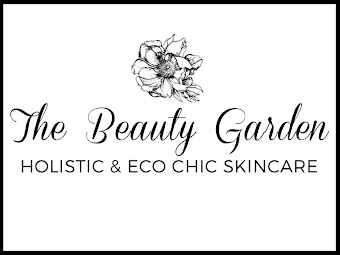 You can get your very own Problem Solver at Eco Diva Beauty or here. 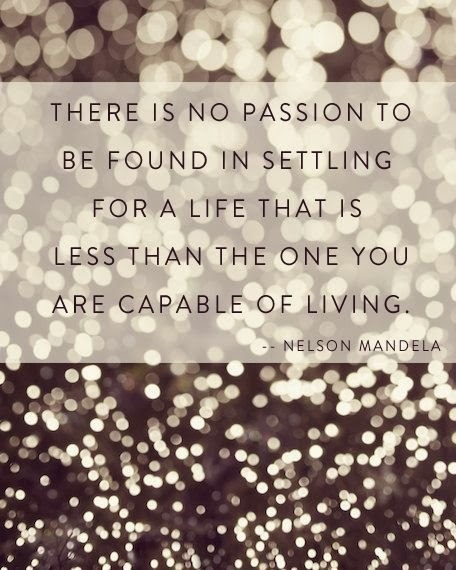 Today I wanted to share this beautiful quote by the late Nelson Mandela. I was so shocked and saddened to hear of his passing. But I am happy knowing he lead a long life, true to himself. He was a man, a person who crafted an incredible legacy of courage, truth and faith. We will never forget his life and purpose. This quote hits home to me and stirs an awakening. I hope you find the beauty and truth in it as I have. Just love it. Another note, we just got our tree over the weekend, and I am loving the smell of fresh pine in the house! Its a small tree this year, sitting on top of our dining room hutch to keep our (almost 1 year old) son away from knocking the tree over and injuring himself! I was really inspired the this photo below for the holiday season. My tree is not as grand, but its still oh so lovely. Anddddd, today our Christmas cards go out! Its been a whirlwind of December, but so much fun! Have a great week everyone! This Holiday Season is extra special for us this year! I am just elated for my son to be celebrating with us the joy of Christmas and the New Year! This time last year I was anxiously awaiting his arrival, planning, nesting, prepping and drinking way too much eggnog! Ha! Now he's here and almost 1 year old! I have to plan accordingly since Christmas and his birthday are about 1 week apart, so I want to spread the gift giving evenly (like he cares, he'll be more interested in the wrapping paper and boxes this year than gifts!) Nonetheless, I've been eyeing these adorable toys, clothes, handmade ornaments and baby skincare products! We can't forget about baby's skin, especially with the cold winter air! OH! Don't forget that Tea Collection is having their amazing CYBER MONDAY SALES go thru Wednesday! Hope you are all having an amazing week so far. 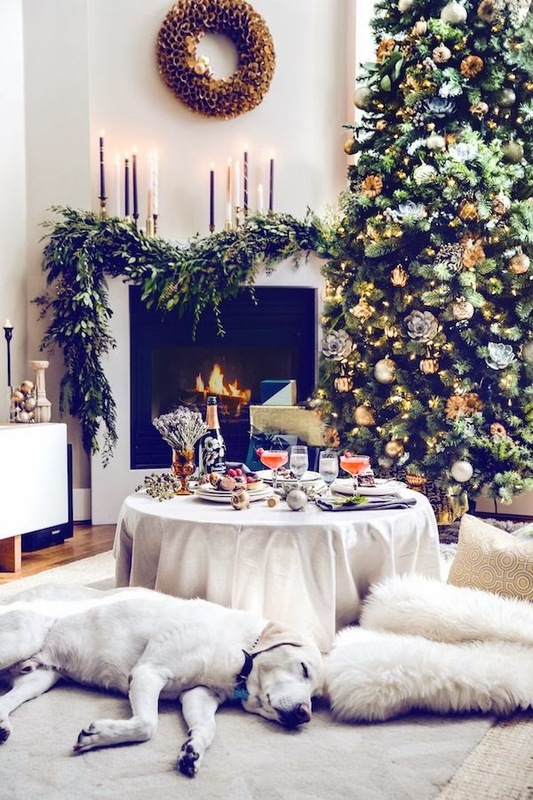 It's officially December! I am so excited for this wonderful, cheer-filled month! 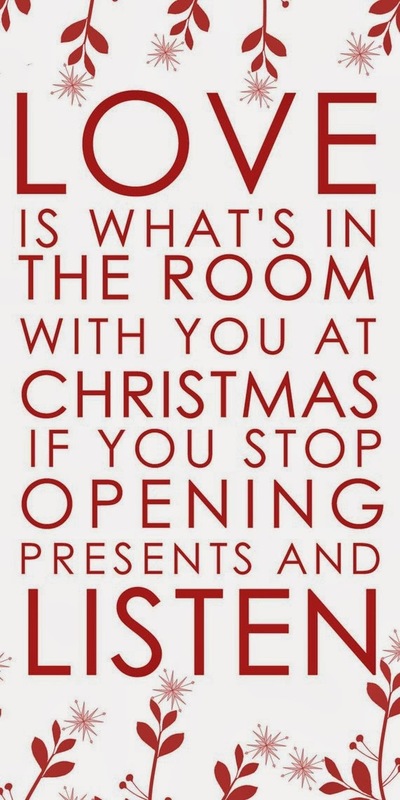 There just isn't anything like the Holidays and Christmas time! Speaking of which, I just ordered our Christmas cards. So much fun, I look forward to them every year! Now its even more special since our son has helped make our little family more like a family ;) its his first Holiday Season! Over Thanksgiving weekend we took him to see Santa Claus for the first time. He held himself together so well! I thought he was going to bawl, but he held back his tears and was so incredibly brave. It's already a busy week already getting started with Christmas festivities! I will do my best to keep regular with posts. 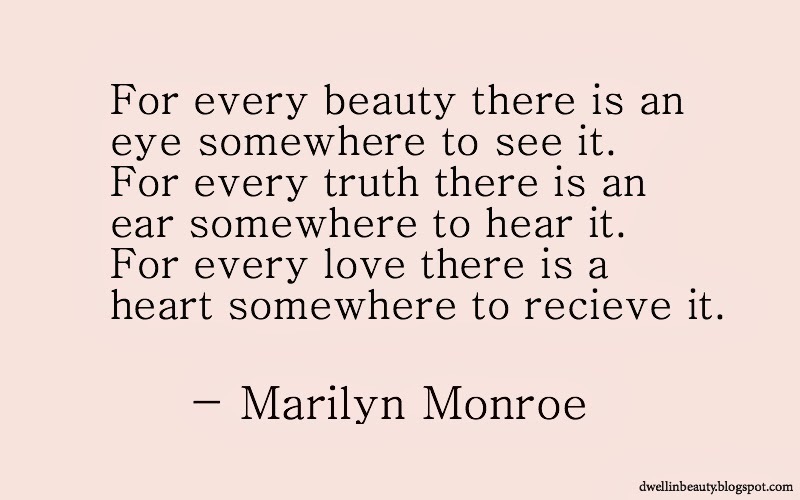 Today I have a quote by the knockout classic beauty, Marilyn Monroe. She was a beauty, no doubt about it, but who knew she also had a mind of wisdom too! I love this quote by her. There is so much meaning and truth in it. Enjoy, and happy Monday! 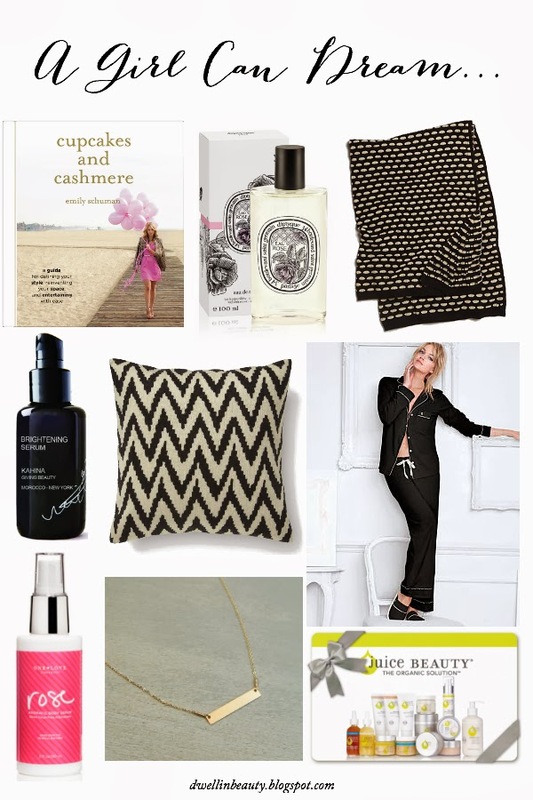 (EARLY) CYBER Monday Deals with Julep!